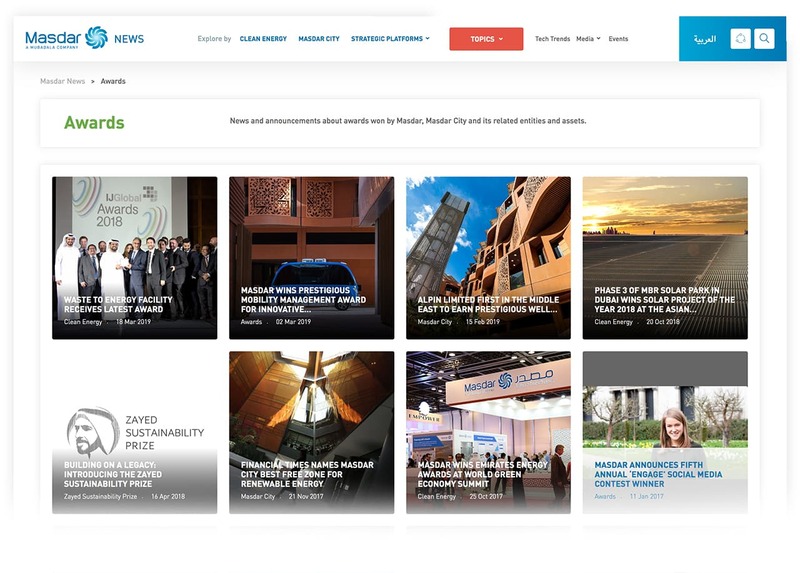 Cactimedia worked with Masdar News team, to design & develop their brand new project from the ground up. 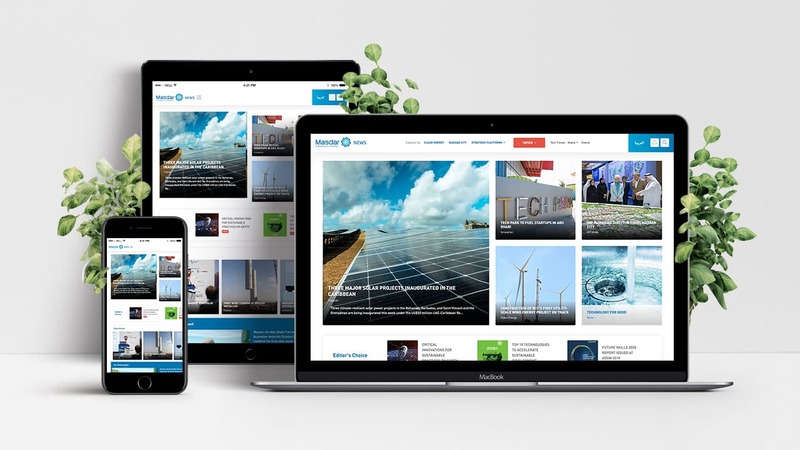 The News website is a central location of all news and feeds to the other sites in the network. 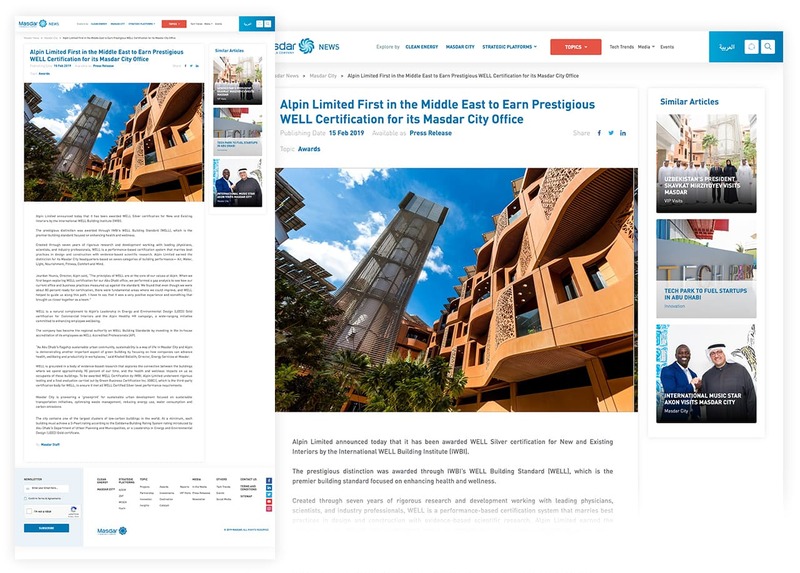 The Masdar News websites is built using the latest Site core technology & works seamlessly on all devices. 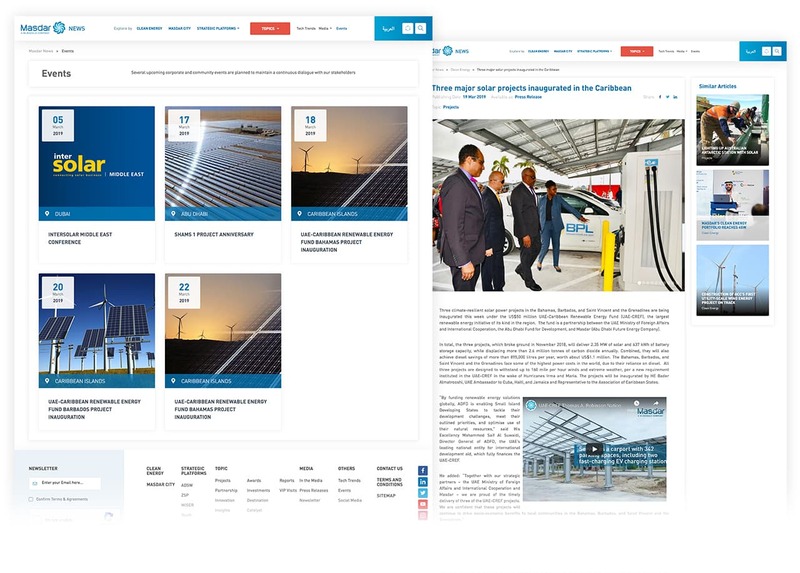 The website has a lot of content in news & publications, and the challenge was to present all of that information in a structure that’s both functional and compelling.